All standards sponsored by the Web3D Consortium are listed here. The standards are listed by ascending ISO/IEC number, then by descending version number. 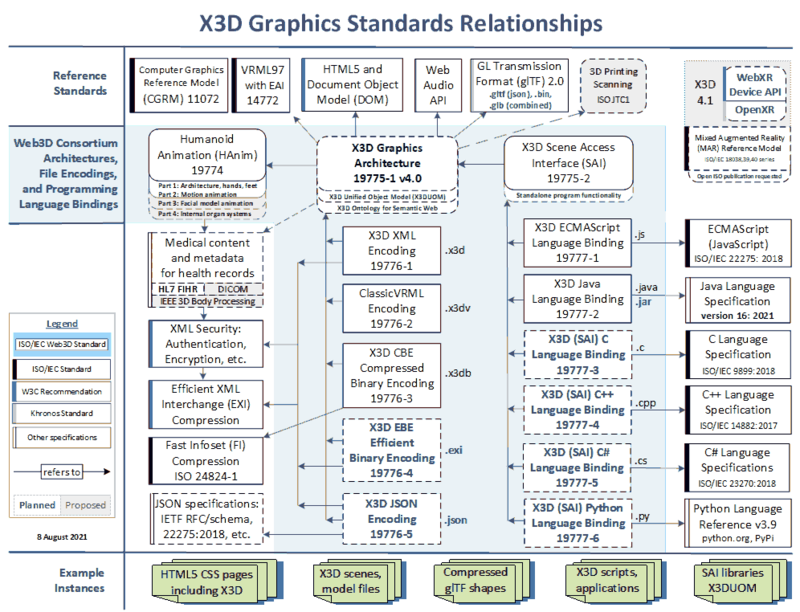 Older versions of current ISO published standards are provided for historical reasons, and should not be used for the development of new implementations or X3D scenes.